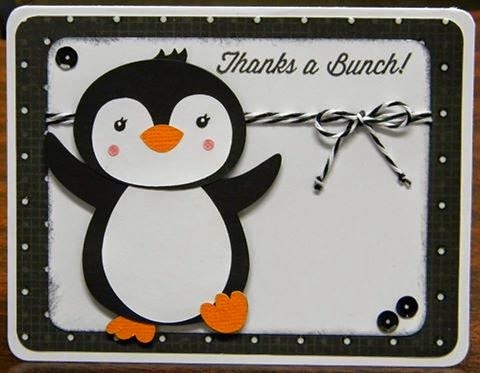 I used a Too Cute by Jessica file called Simple Penguins. There are 4 penguins and all are so cute! I do love to play with the animal files, as you might have noticed. The penguin is about 3-3 1/2 inches. There are some fabulous files over at Too Cute by Jessica so I hope you stop over there! Aww, Helen, this is adorable.